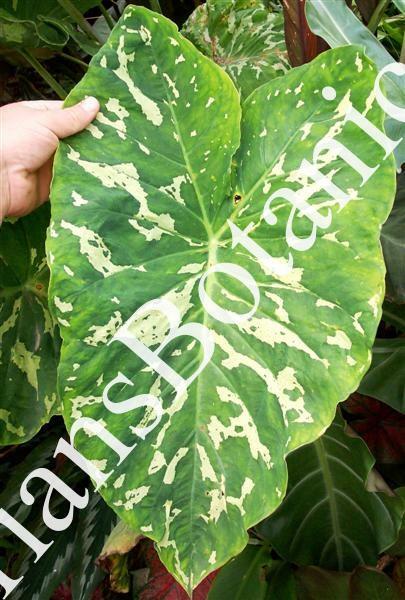 Alocasia Hilo Beauty is a outstandingly spotted Aroid. This plant is most likely not an Alocasia but a Caladium. The leaves are large with white spots that grow 1 foot long and 10 inches wide. This plant grows from 2 to 4 feet tall. The plant for sale is in a 3 to 4 inch pot.